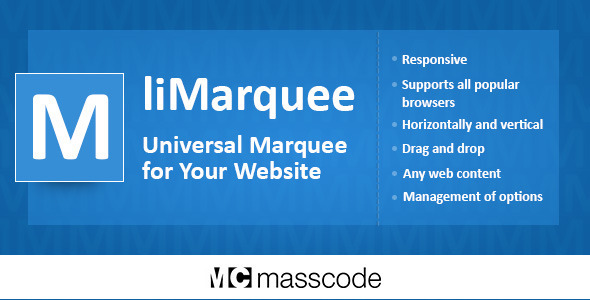 LiMarquee Plugin is an analog of tag «marquee». The plugin supports all popular browsers. The movement of the Marquee can be set both horizontally (left, right) and vertical (up and down). You can pause Marquee when mouse hover, and play when mouse out. The content can be any web page element – a simple text, images, tables, form elements, etc. Using special methods, you can dynamically change the parameters of a Marquee (change the speed of movement, stop Marquee and run it again).